McNICHOLS offers a wide range of metals (as well as plastics), thicknesses, hole shapes, hole sizes, and patterns, including Designer options. These quality materials are available in sheets, coils, rolled cylinders, and other configurations. We offer laser-cutting, rolling, forming, degreasing, bolt holes, notching, and other types of processing. Industrial and architectural infill panels are our specialty. For a finished-framed edge, McNICHOLS® U-Edging comes in a variety of styles. Finishing options include degreasing, powder coating, anodizing, hot-dipped galvanizing, and polishing. 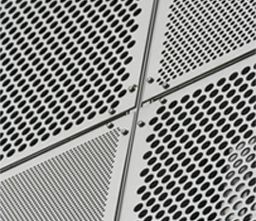 We look forward to assisting you with your custom Perforated Metal needs. Expanded Metal sheets come in various metals, alloys, sizes, and finishes. We can provide rolling, stamping, forming, notching, cut-outs, and laser cutting, as well as a finished-framed edge. We offer McNICHOLS® U-Edging in a wide variety of styles, with additional options available. Like with many of our other products, we also offer finishing services such as degreasing, powder coating, hot-dipped galvanizing, anodizing, and polishing. Although most styles feature a traditional pattern with the long way of the design (LWD) running the long way of the sheet, we can produce items with the diamond running in the opposite direction if required — in addition to offering options from inventory. 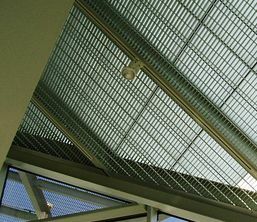 Please allow us to provide a custom Expanded Metal solution for you! 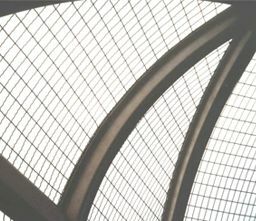 We can provide Wire Mesh (sometimes referred to as Wire Cloth) in almost any type of metal that can be drawn into a wire. We offer an expansive range of opening sizes, wire diameters, and Designer patterns in Welded and Woven constructions. We offer rolling, stamping, forming, laser cutting, and hook strips, as well as vibrating screens. We specialize in industrial and architectural infill panels with a finished-framed edge. A variety of McNICHOLS® U-Edging, along with other edging styles, is readily available. We provide finishing services such as degreasing, powder coating, hot-dipped galvanizing, and anodizing. We look forward to tailoring a solution that is right for you! McNICHOLS carries a vast selection of Gratings and Grating Stair Treads, including Bar and Plank styles, Molded and Pultruded Fiberglass varieties, as well as Expanded Gratings. Whether you are looking to accommodate light pedestrian traffic or heavy wheel loads, our associates can walk you through the special metal types, alloys, bar sizes, spacings, surfaces, finishes, and other options we offer. Our custom fabrication services include notching, cutouts, toe plates, banding, nosing, and special area shapes. Other finishing options include powder coating, anodizing, and hot-dipped galvanizing. We would be honored to support you with your custom Grating order today! McNICHOLS can provide many types of Fiberglass Structural Shapes as a custom order. We also offer cut-to-size and other fabrication options, as well as Fiberglass ladder and cage assemblies and Fiberglass handrail systems, including ADA compliant product requirements.